The role of grand strategy is to co-ordinate and direct all the resources of a nation, or band of nations, towards the attainment of the political object of the war – the goal defined by fundamental policy. Furthermore, while the horizons of strategy is bounded by the war, grand strategy looks beyond the war to the subsequent peace. It should not only combine the various instruments, but so regulate their use as to avoid damage to the future state of peace – for its security and prosperity. Enough has been written after publication of the seminal paper by George K Tanham of Rand Corporation on Indian Strategic Thought in 1992. The jury is divided whether India has a strategic culture or not. We will not revisit those. Does India have a grand strategy? Indian government doesn’t articulate a ‘grand strategy’ like the U.S. which bring out its National security Strategy at regular interval. But, absence of an articulated grand strategy doesn’t mean that India does not have a grand strategy. Indeed, the existence of an Indian “grand strategy” that sets out political objectives for Indian power projection—and then ensures military, economic, intelligence and educational development—coordinated toward these objectives, is presently being debated within Indian strategic circles. This debate focuses particularly on the ultimate requirements and specific policy proposals for an Indian grand strategy. However, these debates have focused primarily on current Indian policy problems and recommended solutions based upon Western historical role models. Taking a broader perspective, with a wider range of historical case studies, may help reframe the debate in the Indian context, as well as the general academic discourse on grand strategy. Kautilya in the Arthashastra lists threefold duties of a ruler in the internal administration which provides a useful tool to discern the national interest. These are raksha (protection from external aggression), palana(maintenance of law and order) and yogakshema(safeguarding the well being of people). The Arthashastra serves as a cumulative manual for grand strategy development. It is telling that it organizes its recommendations into two main categories: those focused on cultivating the perception, judgment and decisionmaking ability of the political leadership, and those focused on building a responsive, coercive state able to implement the will of the leadership and develop and extract the necessary resources for it. While the volume is still a work of its time, in its focus on personalized kingship as the default form of rule and on building effective state mechanisms to enforce and inform this rule, these two bedrock themes—effective political judgment by the leadership and a supportive implementation structure—recur throughout the text. A strategy, after all, is a means to an end, and it will depend ultimately on India’s leadership.In the Mahabharata, Vidura, counsellor to his brother, King Dhritarashtra, lists the qualities of wise men: self-knowledge, exertion, forbearance, and adherence to duty. A wise king, he argues, must be able to discriminate between right and wrong, and he must be able to control allies, neutrals, and enemies through gifts, conciliatory gestures, sowing disagreement, and ruthlessness. As these passages show, strategic instinct—what was later described as chanakyaniti or kautilyam—has been ever-present in India. But as Dhritarashtra learned as a result of his own follies and shortcomings, even the sagest advice, when left unheeded, can result in misfortune. Whether we agree on India's Grand Strategy or not the world is looking at Chinese and Indian Strategies to Become Superpowers. According to John Mearsheimer’s theory of offensive realism, great powers vie for the status of world superpower by amassing power at the expense of other states. It is presumed that the ultimate and most ideal power conditions for a state are achieved when a state reaches total hegemony. However, Mearsheimer argues that this task is impossible for two reasons: first, that great powers will always find incentive to tilt the balance of power in their favor and second, that great powers will never be satisfied with the status quo of power. Therefore, the more achievable goal is for a great power to pursue the status of a superpower rather than the coveted position of global hegemon. It is here that we find China and India. To determine the point at which a state becomes a superpower, scholars have created varying definitions and frameworks. According to Alice Lyman Miller’s framework, a superpower is measured by its ascendancy in the four axes of power: military, political, economic, and cultural. Dominance in any one of these may enhance a nation’s power, but “extreme advancement, advantage, and dominance on each of these dimensions” are required to attain the stature of a superpower. By these parameters, the United States is currently the only state to enjoy this status unambiguously since the collapse of the Soviet Union, therefore making it the global hegemon of our day. Although conventional warfare has been rapidly evolving in the 21st century, Mearsheimer contends that “power in international politics is largely a product of the military forces a state possesses." India tends to enjoy the benefits of the U.S. being an offshore balancer. With respect to Pakistan, one of India’s most prominent military concerns, New Delhi looks to Washington as a counterbalance for powers such as China which side with its historic rival. According to Jonathan Holslag, “China continues to be Pakistan’s most privileged military partner as it is the only power that has invested substantially in the country’s nuclear programme.” India looks upon this relationship as a coercive strategy directed at them, further necessitating American support. Recently, India’s ban on trade with North Korea has won it favours with the U.S. After China India is one of the most trading partners of North Korea. The decisive move also aligned India with the UN’s sanctions, demonstrating their allegiance with the West more generally. Here, India’s strategy to sacrifice trade with an internationally unpopular state is pursued in hopes of exchanging favours with the global hegemon and its allies. Nevertheless, India is at an advantage in one way: it has enjoyed friendly relations with other great powers in the last decades, meaning that such powers are not as prone to use economic coercion against India as they are against China. Where India has focused directly on cultivating powerful partners but failed to achieve comprehensive economic strength, China has emphasized integrating with the world economy, such as membership in the World Trade Organization (WTO).This lends China legitimacy while also enhancing their economic development and reinforcing their position as a market leader. India will be unable to participate on the same level until it reassesses its economic priorities. Indian politics do not face questions of legitimacy as China does. India is a model of dynamic liberalism and democracy at work. Its institutions, including Parliament, the judiciary, and the civil services, function in unison to preserve popular legitimacy in such a diverse nation. Its political tradition has developed along the lines of what is expected within the international community: regular democratic elections, peaceful transfers of power, and dedication to non-proliferation. The UN has recently lauded India for its commitment to multilateralism and its place as the second largest contributor to peacekeeping missions. Democracies, however, lack the option to unilaterally alter governing practices in the style of authoritarian states. Therefore, while India may enjoy the international legitimacy of a democratic power, it still suffers from the internal effects of corruption and cannot combat them using China’s methods. India looks not to nationalism but to international relationships and openness for success in its foreign relations. Unlike China, India has developed a strong, bilateral relationship with the U.S. New Delhi has also come to buttress America’s network of relationships and influence in East Asia as it builds stronger ties in the region. These relationships not only provide India increased influence and standing in Asia, but also bind it more closely to the world’s current political, economic, and cultural monolith. This is not say that India’s foreign policy is one-sided; its pursuit of global ties has also allowed it a close diplomatic relationship with Washington’s rival, Russia, a relationship resulting in part from American support for Pakistan. This approach has done much to enhance India’s legitimacy and reputation worldwide. India commands an abundance of cultural resources. These resources are multifaceted and include everything from music, art, and film to yoga and spiritualism, and the country can also boast of strong democratic values. New Delhi has been criticized of failing to utilize these soft power reserves effectively in the past, and analysts have even cast doubt on the extent of India’s potential cultural influence. More recently, however, current Indian Prime Minister Narendra Modi has begun to utilize India’s soft power in a conscious strategy. Even as Modi emphasizes his country’s democratic allies and promotes Indian culture on state visits and in official policy, India is simultaneously expanding its hard power resources. In addition to being the world’s largest weapons importer, India is also working to grow its own domestic defence industry and its navy. Perhaps due to India’s status as a democratic power, it has faced less criticism than China in its extension of soft, cultural power. Strategic gain within any axis of power serves the interests of a given state. Equally important, however, is the perception of other countries with regard to a state’s strategic approach. Rising states coveting superpower status, therefore, must devise their grand strategies with this in mind should they wish to ascend to the top. In the near future India's grand strategy should include : to continually engage both China and the United States in an equal but differentiated manner. With the United States, India will need to continue pushing for deeper economic and people-to-people exchanges, solicit support on global governance, develop greater coordination and interoperability in the Indo-Pacific, and further enhance cooperation on counterterrorism. With China, India will have to manage its border dispute by negotiating from a position of strength, contest Chinese political and military influence in India’s immediate periphery, seek common ground on multilateral affairs, and develop a sustainable and mutually beneficial economic and commercial relationship. New developments – including the prospect of a less open United States and new forms of Chinese involvement in India’s immediate region – will challenge many of India’s longstanding assumptions. Achieving these objectives will require both strategic clarity – and malleability – on India’s part. * General’s Intelligence Vs Artificial Intelligence – Can Military Strategy become an Algorithm? 11th May 1997 is a significant day. Besides being exactly a year before India conducted its second nuclear tests, it is the day that IBM’s Deep Blue computer made Gary Kasparov, the human world champion, concede defeat in less than 20 moves in the 6th Game of Chess that they played together. Kasparov reflect today, 20 years later, in his book “Deep Thinking – where machine intelligence ends and human creativity begins”, even if he would have won, it was just a matter of time when computers would have started winning. 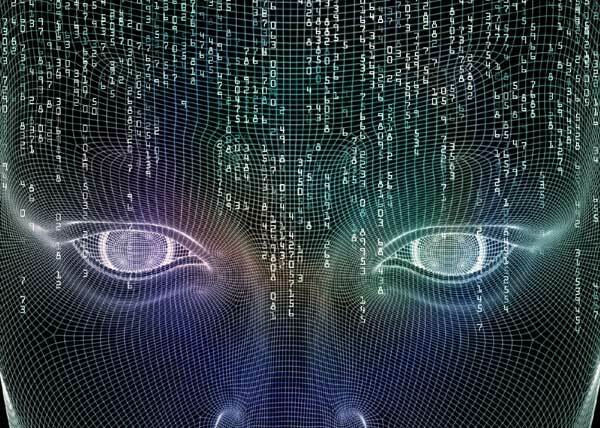 The supporters of Artificial Intelligence – called the hard AI – were delighted then – proclaiming a day, not in too far in future ahead, when machines will be able to replicate the human decision-making process. 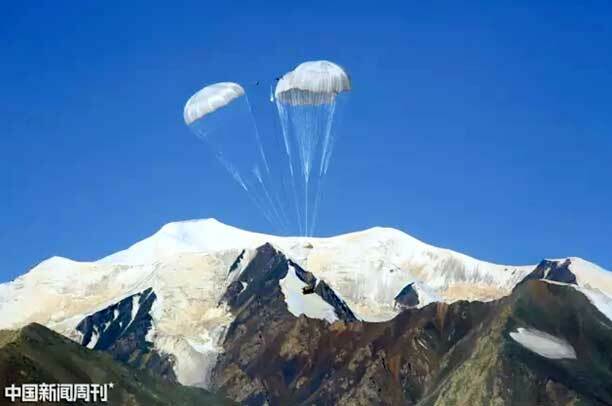 Since the reorganization of the PLA was ordered in January 2016, there was not much news about China’s Airborne Corps albeit it was appreciated China will continue to maintain its airborne capability in its quest of China-centric Asia and aspirations of becoming a global power, even surpassing the US. The 43rd, 44th and 45th Divisions of China’s 15th Airborne Corps were equated with America’s 82 and 101 Airborne Divisions. On September 30, 2017, Border Security Force (BSF) personnel detected a cross-border tunnel in the forest area of Damala nullah in Jammu’s Arnia sub-sector. The tunnel, reportedly 14 feet long, three feet high and 2.5 feet wide, was designed to facilitate the easy infiltration of terrorists from Pakistan into India. This was the second such tunnel discovered in the Jammu sector along the India-Pakistan international boundary during 2017 and the fifth since 2012. The four other tunnels discovered were in Ramgarh sub-sector (February 2017), Allah Mai de Kothe, R S Pura Sector (March 2016), Pallanwala sector (August 2014), and Shakkergarh area (July 2012). 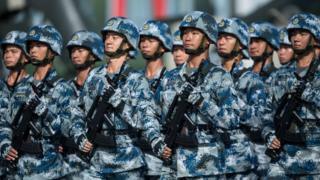 Of the many noteworthy developments that have characterised Chinese President Xi Jinping's first five-year term, none stands out as much as military reform, and this reveals a great deal about the coming political trajectory in China, writes political analyst Cheng Li. Bill Emmott, the former editor-in-chief of The Economist magazine, said such a move by China would not only gain Beijing a solid foothold on the Korean Peninsula, but also the opportunity to strengthen its own geopolitical position, enhance its global power status, perhaps even the ability to claim the reputation of a peacemaker. Although armed conflict between the United States and China is not likely, the possibility is real enough to require prudent policies and effective deterrent measures. In the past six years, the range and capabilities of Chinese air and sea defenses have continued to grow, making U.S. forward basing more vulnerable and the direct defense of U.S. interests in the East Asia region potentially more costly. The rebels are falling apart. Russia, Iran, Turkey and the Assads have used their “de-escalation” zones into slaughterhouses by resuming attacks on pro-rebel civilians and any rebels they can catch. ISIL is rapidly losing it personnel and territory because of constant attacks by just about everyone (Turks, Kurds, Assad and his Iranian and Russian allies as well as the Americans and sundry other minor players). As ISIL is being put down everyone is thinking about the next phase of the civil war. The winners want to get rewarded for their service. The Syrian Kurds want autonomy in the northeast (mainly Hasakah province) and protection of Turkish efforts to keep the Syrian Kurds away from the Turkish border. That’s going to be a problem. There are more problems in the north, such as the FSA (Free Syrian Army). This group was a major player early on because it was largely secular and popular with Western nations. But most Syrian rebels preferred more radical groups like al Qaeda and eventually ISIL (Islamic State in Iraq and the Levant). FSA continued to exist and eventually found a patron in Turkey, which apparently plans to turn over control of the Syrian side of the border to FSA, if the Assads and Syrian Kurds can be taken care of. In our recent book The Internationalists, we point to a change in the legal status of war as the core cause of the shift. Realists have reacted with incredulity. Stephen M. Walt, for example, argued in Foreign Policy that if we are right, “I’ve been guilty of educational malpractice for the past 30 years.” He concludes that, thankfully, he can leave his lecture notes intact because we have failed to prove our case. In a country steeped in political controversy and surrounded by strategic threats, military planners in Israel are looking to 3-D printing to bolster wartime self-sufficiency in the event of embargoes or supply chain disruptions. Here at Depot 22 ― the Israeli Air Force’s central depot tasked with repairing and maintaining much of the force’s fixed-wing aircraft ― commanders are preparing to transition from 3-D scanning of selected parts to actual 3-D printing of those parts. The transition process, officers say, involves meticulous evaluation and testing, and will focus only on nonstructural parts that can endure stress loads of flight. After-action analysis from last month’s massive drill at Israel’s northern border has validated, with very few exceptions, more than a decade worth of development, deployment and operational procedures associated with the military’s cyber-secure, C4I-operational network, the military’s chief signal officer said. In May 2017, a small team from the CSIS Global Health Policy Center visited Brazil to better understand the country’s approaches toward issues of global health security. This includes preventing and responding to infectious disease outbreaks, bolstering pandemic preparedness capacities in the region, strengthening Brazil’s national disease surveillance network, scientific and technical collaboration, and health preparations in advance of mass gatherings. Based on our conversations in Brazil and in the United States, the team concluded that the history of U.S.-Brazil engagement on health, as well as Brazil’s recent experiences addressing the 2015–2016 Zika outbreak and preparing for the 2016 Olympics in Rio de Janeiro, offer important lessons for the U.S. government to consider, both as it rethinks its relationships on health with other middle-income countries and as it advances its health security agenda in the years to come. The CIA agent tapped softly on the hotel room door. After the keynote speeches, panel discussions and dinner, the conference attendees had retired for the night. Audio and visual surveillance of the room showed that the nuclear scientist’s minders from the Islamic Revolutionary Guard Corps were sleeping, but he was still awake. Sure enough, he opened the door, alone. BY: MICHAEL J. ZAGUREK JR.
At various times over the past few weeks, US President Donald Trump and other members of his administration have threatened to use military force to prevent North Korea from conducting additional nuclear or ballistic missile tests. The US carrying out any military option raises a significant risk of military escalation by the North, including the use of nuclear weapons against South Korea and Japan. According to the calculations presented below, if the “unthinkable” happened, nuclear detonations over Seoul and Tokyo with North Korea’s current estimated weapon yields could result in as many as 2.1 million fatalities and 7.7 million injuries. September 3rd, South Korean citizens are quickly taking a more aggressive stance towards the regime. This is reflected in rapidly shifting public opinion supporting hardline measures such as the deployment of extra THAAD units and the redeployment of U.S. tactical nuclear weapons. A public poll conducted by Korea Society Opinion Institute (KSOI) several days after the incident found that 68.2% of 1,014 respondents were in favor of deploying tactical nuclear weapons on Korean soil to as a response to the North Korean nuclear threat. An earlier opinion poll conducted by the East Asia Institute in June showed that 67.2% of those surveyed agreed to the idea of nuclear weapons in South Korea. These results seem to indicate that animosity among the South Korean population towards the Kim Jong-un regime and its adventuristic maneuvers has been brewing over the past few years. POLTAVA, Ukraine — After four years of investigation by the German police, the F.B.I. and other crime-fighting agencies around the world, heavily armed security officers stormed an apartment in the central Ukrainian town of Poltava. After a brief exchange of gunfire, they captured their prey: the man suspected of leading a cybercrime gang accused of stealing more than $100 million. 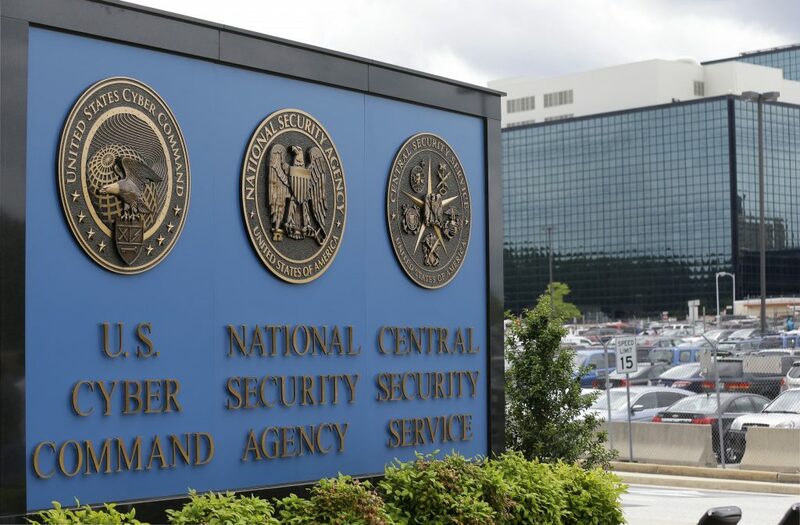 U.S. companies got a disturbing preview of just how Russia might be able to steal their secrets, with news that Kaspersky Lab anti-virus software was allegedly used to hack an unsuspecting NSA contractor. Russian state-sponsored hackers reportedly stole critical details on how the U.S. conducts cyber espionage and defends against cyber operations directed at its classified networks, when they hacked the computer of the contractor who had uploaded highly classified documents onto a home computer, according to The Wall Street Journal. The twenty-first century will be challenging on many fronts. From historically catastrophic natural disasters resulting from climate change to inequality to refugee and terrorism crises, it is clear that we need not only new solutions, but new insights and methods of arriving at solutions. Data, and the intelligence gained from it through advances in data science, is increasingly being seen as part of the answer. This report explores the premise that data—and in particular the vast stores of data and the unique analytical expertise held by social media companies—may indeed provide for a new type of intelligence that could help develop solutions to today’s challenges. 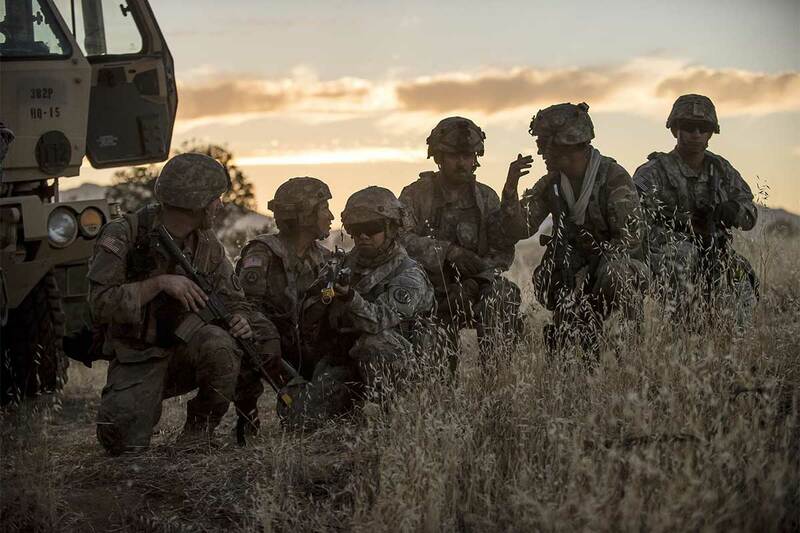 The critical state of Army readiness, the convergence of battlefield domains and restricted budgets have impacted the service's ability to prepare properly and protect the U.S. from evolving threats. The U.S. Army is roughly $7-to-$9 billion short of the funds needed to begin modernizing the force for modern warfare, and several of its capabilities could be outmatched by adversaries in conflict. 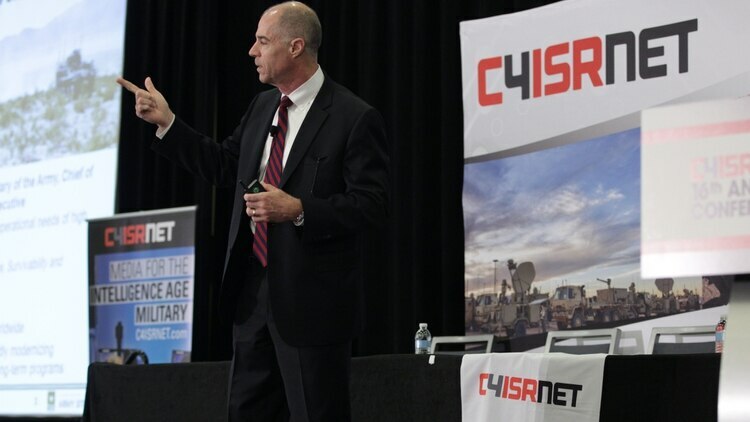 While cyber was one of the original three topics of focus for the Rapid Capabilities Office, which stood up officially in August 2016, it has taken a backseat of sorts behind electronic warfare and position, navigation and timing challenges.